Train arrives at Lao Cai Railway Station at 06: 00am, transferred to Sapa by bus. Have your breakfast at restaurant in the town and have a walk to Sapa market to see the local people purchasing the product. 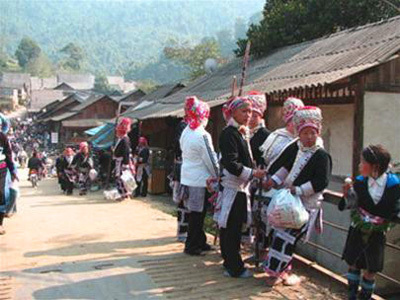 Then whole day trekking following the buffalo trails, we trek up and down hills through the forest and on the terraced rice fields and visit the villagers of Black H'mong tribe in Ma Tra and Suoi Ho villages. We pass schools with scenic views of terraced rice fields and picnic lunch on the way and then continue our trek to Ta Phin with Red Dzao ethnic group. We meet the jeep & transfer back to Sapa. Stay overnight at hotel in Sapa. Train arrives around 06: 00am; turn back to your hotel on your own. End tour. Once you've seen our programme, you can make any changes you wish. 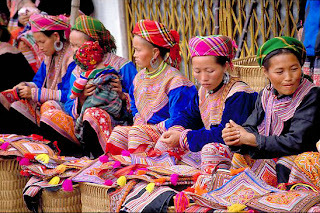 We are a very flexible tailor-made tour operator and we can design tours to meet our clients' precise requirements. 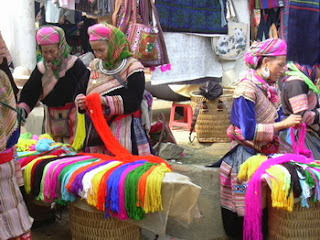 Please send email to us via: sales@asiacharmtours.com for information about Sapa Tours and Vietnam and our sample tours. Book now for getting promotion rate.